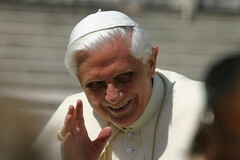 Pope Benedict is holding a seven-day bible reading marathon here in Rome. 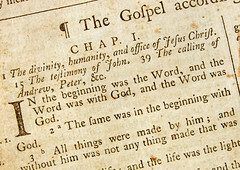 Over the next week 1200 people will take turns reading from the 73 books of the Catholic version of the bible. 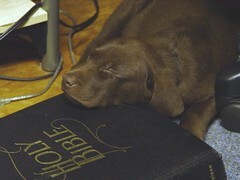 I’m wondering how much of the bible is devoted to dogs? Perhaps there should be a mini-marathon devoted to dog passages: Anecdotal bible stories concerning the role of dogs in growing spirituality, as it were. 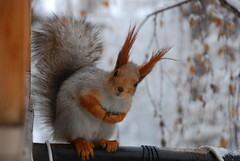 Just long enough to inform and inspire; short enough to hold the attention span of a terrier (which is fairly short unless a squirrel is woven into the tale). After all, that calm feeling one gets when petting a dog is as close to God as man gets, non e vero? Cats…again. Now it’s Pope Benedict . 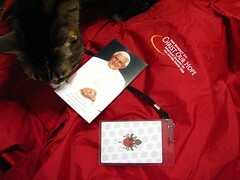 In what I can only hope is a move unsanctioned by the church, the Pope has taken a cat. Granted, it was on a trial basis. It seems that while visiting Australia, the locals determined his live of the feline and loaned him said creature. Thank God…literally…he doesn’t actually keep a cat at the Vatican. they breed like rabbits, you know. Look at any Roman ruin. Imagine the Pieta with the addition of a life-size tabby straddling Mary’s shoulder. 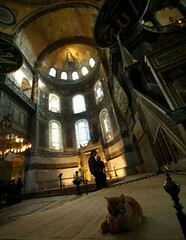 A cat standing guard at the tomb of St. Peter? What kind of spiritual leader prefers cats to dog, I ask you? 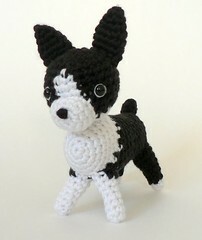 I wonder if they have dogs on the West Bank? It’s still raining in Rome. I was hoping for a sunny day before Easter. I love to go for a sniff and piddle of the colorful potted azaleas that line the Spanish Steps each spring. But the management refuses to walk too far when the sky is pouring. Except for Good Friday. 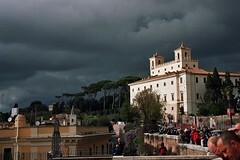 That evening we trek to the Palatine Hill to watch the Pope. 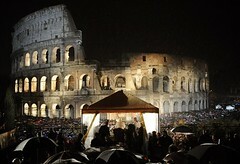 He presides over the nighttime Way of the Cross procession. I’ve only seen two Popes in my life. The last time I saw John Paul participate on a Good Friday, he didn’t carry the cross. The next year, he didn’t come at all. Last night Benedict didn’t carry the cross either…and I worry. It’s tradition. 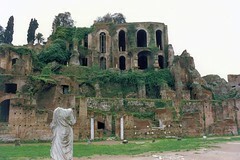 He wore a long white coat, standing sheltered from the cold, persistent rain under a canopy upon the Palatine Hill. I wasn’t born a worrier. It’s something I picked up from my people. I sometimes tremble under the weight of their gloomy thoughts. It’s hard not to pick up a bad habit here and there. And the atmosphere surrounding the whole Easter sceen was grave, indeed. The Colosseum stood solemnly in the distance, appearing to melt along it’s illuminated edges in the drizzle. 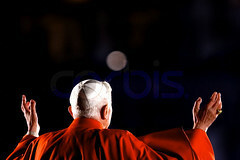 A Cardinal handed the Pope the tall, slender cross and the Pope clutched it like a crutch…and I worry.